In The Semantic Turn: A New Foundation for Design Klaus Krippendorf mentions Karl Marx as an important philosopher for design ..."asserting that 'The philosophers have only interpreted the world in different ways; the point is to change it.'" (p21). This indeed, says Krippendorf, is the point of design. 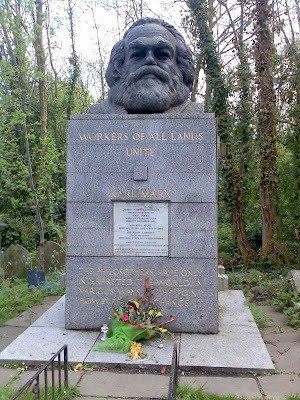 I thought it time, therefore, to wander over to Highgate Cemetery close to where I live in north London to pay my respects to this proto-design theorist, who is buried there. 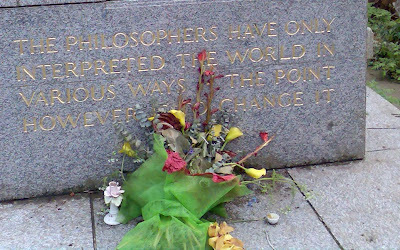 And inscribed along the bottom of the extremely large plinth was the phrase itself.